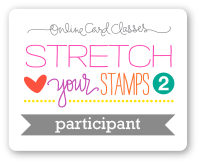 Winner will receive a stamp set of their choice. 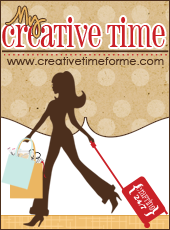 Please visit the FCCB blog to see the other DT member projects and join in the challenge. I used an old shadowbox I had added some paper to the back of the frame. 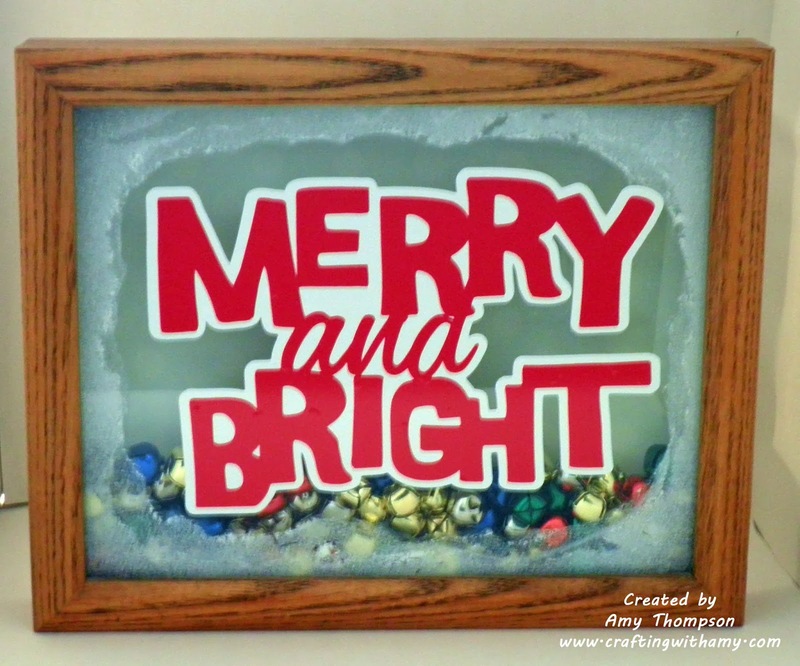 I then cut out the "Merry and Bright" using some vinyl and Winter Frolic Cricut cartridge. 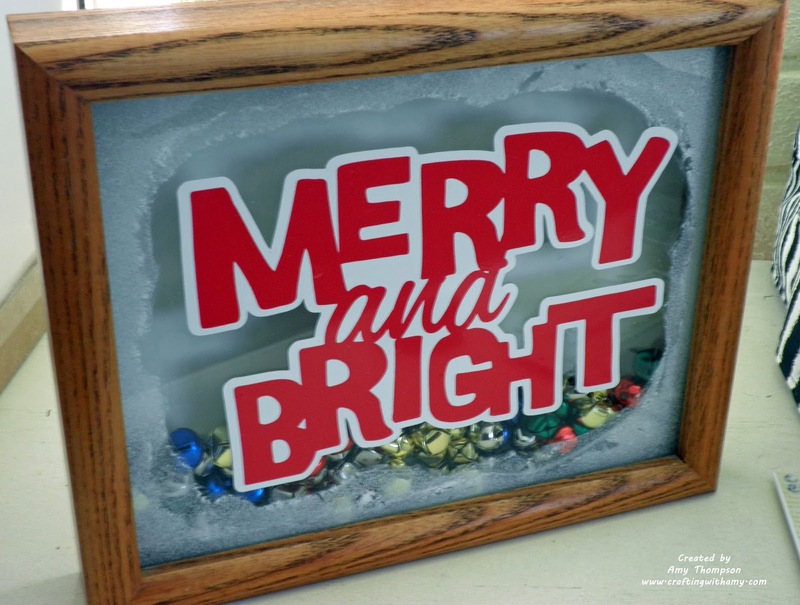 I sprayed some fake snow on the outer edge of the glass and then added some colored bells on the inside. I hope you enjoyed my project and thank you for stopping by today. Such a pretty home décor item. So festive and fun! I love the sentiment that you chose. This is a super shadow box! I love the colored bells and the sentiment!